Contemporary jazz-R&B funkster Brian Culbertson has had love on his mind essentially since last Valentine’s Day. Inspired by the occasion of his twentieth wedding anniversary last fall, the keyboardist began writing thirteen new songs about a year ago dedicated to his wife, Michelle, which make up his “Colors of Love” album that was released on Wednesday, Valentine’s Day, by BCM Entertainment. Substituting the live band instrumentation customary of his recordings, Culbertson crafted an intimate set of ardent acoustic piano melodies using sensual synth grooves and textures. With the title track of his eighteenth album that he wrote, arranged and produced already in the Billboard Top 5, his attention is fixed on creating the highly-theatrical production he’ll take on the road for nearly three months beginning March 30 across the bridge from Philadelphia in Collingswood, New Jersey and concluding in Seattle on June 17. 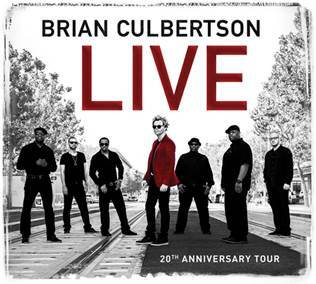 For more information, including concert dates, please visit http://www.BrianCulbertson.com. 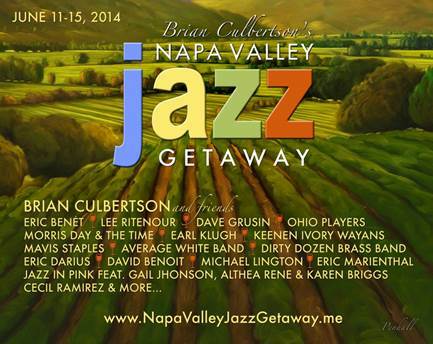 Brian Culbertson, is a contemporary jazz, R&B, and funk artist that has been making records for 24 years now. He spent the first 20 of those years on major labels which was great, but now he is independent which gives him the creative freedom to pursue whatever direction he is feeling in the moment. Earlier this year he started writing new music inspired by his 20th wedding anniversary (Oct 4th). As you can imagine, it is a very romantic record. While he was writing the new songs, he did a Facebook live session from his studio and asked the audience if this record should be instrumental only, or if he should include guest vocals. It was overwhelmingly a YES for instrumental only. He even took it a step further, purposely not including any saxophone or other lead instruments, focusing mainly on the piano which is something he never has done over his 17 albums. The name of this new album is, Colors of Love, and it will be released on Valentine’s Day, February 14th, 2018. Currently, there is an Indiegogo campaign to fund the production of this album, which will end in ten days. Here is the link. Hello and a very warm welcome to my Indiegogo campaign! My name is Andreas Buechel and I head the smooth jazz project ‘Sax O’Groove’. Sax O’Groove released its first CD of the same name in 2013, featuring an array of guest artists. The self-distributed CD was successful, and the first pressing is now nearly sold out. I now have 11 complete songs recorded for the second CD. Entitled ‘Together’, it brought together five different producers: Nils Jiptner, Darren Rahn, Paul Weimar, John Odio and myself. Making the CD was a unique experience – and I’m happy to say the results were outstanding. My intricate arrangements for brass and strings sections were recorded with various trios and quartets of instruments to support the song textures. Los Angeles, San Jose/Costa Rica, Denver, London and many more. Now all I need is to raise the funds for the mastering, artwork and a big radio promotion to advertise the CD – and that’s exactly why I’ve started this Indiegogo campaign. $ 10.000 is still needed for these final stages, and I hope to get there with your help. 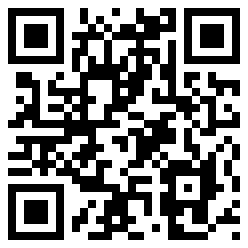 Take a look at the right of this website to find out more. I’d like to thank you right now for your support and look forward to being able to send you the new Sax O’Groove CD. Stay happy and healthy – and I hope we meet in person some time. For more information and to choose your option please visit https://www.indiegogo.com/projects/help-to-release-sax-o-groove-cd-together. 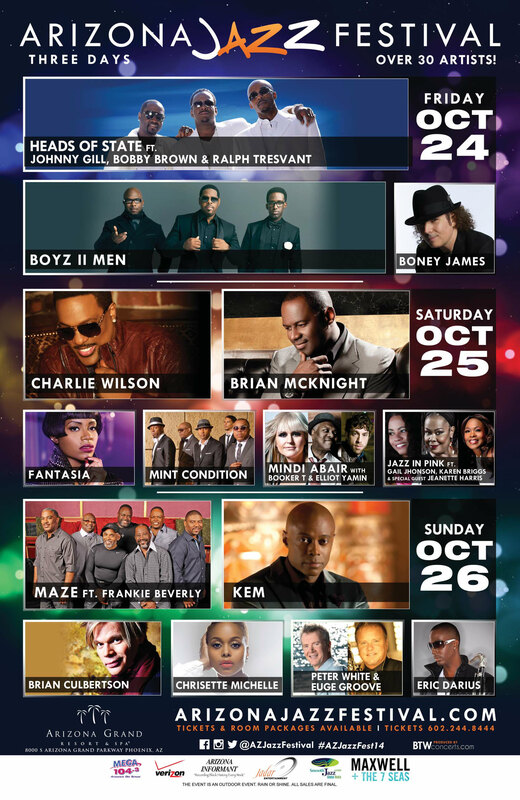 Thousands of concert goers from all over the U.S. will be dancing in the desert October 24-26, 2014 when a stellar lineup of R&B and smooth jazz artists perform at the fall version of the Arizona Jazz Festival taking place at the posh Arizona Grand Resort & Spa. Tickets are on sale now for single-day and 3-day passes priced from $50 to $750 available at the festival’s website (www.ArizonaJazzFestival.com) and by calling event producer BTWconcerts.com at 602-244-8444. The boys will be out to play when the Arizona Jazz Festival blasts off with perhaps the strongest opening night lineup in the semi-annual festival’s history. The cool cat in the hat, four-time Grammy nominee Boney James gets the event started with his soulful sax grooves that never fail to stir the crowd to spontaneously erupt into a fervent “Go Boney! Go Boney!” chant. Jaheim employs his distinctive husky voice to chronicle his pained upbringing and tales of ghetto life that have earned him three Grammy nominations. It is far from the end of the road for Philly’s finest Boyz II Men, a trio that harmonizes in perfect union while presenting their Grammy-winning songbook filled with R&B/pop vocal and a cappella hits. New Edition members Bobby Brown, Johnny Gill and Ralph Tresvant, each of whom has also scored solo hits, are touring as Heads of State and you can bank on a well-choreographed, high-octane show from these R&B superstars. It will “Be OK” on Saturday when Grammy-winning alchemist Chrisette Michele takes the stage to sing her empowering love songs blending R&B, soul, jazz and hip hop. Equally capable of seducing with her proficient saxophone skills as well as her feminine wiles, Mindi Abair has it all. She will team with Booker T and Elliot Yamin for a hot buttered soul, blues and rock jam. Fantasia’s incomparable voice reflects the real-life pain that’s she endured molding her into a mesmerizing talent. At heart, crossover crooner Brian McKnight is a singer-songwriter able to captivate with compelling lyrics, rich melodies and an emotional vocal delivery. Those in attendance at last fall’s Arizona Jazz Festival are still abuzz over the show that “Uncle” Charlie Wilson put on. The BET Lifetime Achievement Award and Soul Train Icon Award winner marched through his hits backed by a skin tight band, elaborate dance routines performed with precision by an army of performers and enough costume changes to rival Beyoncé. Expect more of the same. The energy continues on full blast Sunday with sax showman Eric Darius making sure that patrons will arrive early to catch the consistent crowd pleaser. British guitarist Peter White and sax powerhouse Euge Groove have racked up enough No. 1 hits between them to keep the festival going for days, but they’ll rip through their biggest and best in an afternoon session. Mint Condition keeps the endangered full band concept alive with a rich R&B sound spiked with funk, rock, Latin and reggae. Multi-talented keyboardist Brian Culbertson is responsible for 27 No. 1 hits and is out on his 20th anniversary tour while supporting his sixth album to debut at No. 1, “Another Long Night.” Kem’s suave and sophisticated voice melts into steamy, sensual grooves that have earned him a pair of Grammy nominations and a Billboard Music Award. The festivities conclude in old school party mode with Maze featuring Frankie Beverly who leads audiences through sing-a-long sets of the outfit’s enduring classics. The Arizona Jazz Festival is a lifestyle experience as fans spend the weekend immersed in the music, the lavish resort’s first-class amenities and the adjacent food, fashion and crafts expo. The Arizona Grand Resort & Spa is the state’s only award-winning all-suite resort in Phoenix set amidst a challenging 18-hole golf course, spacious athletic club, luxurious spa and salon and a 7-acre water park. Six different dining options on the property enable festival goers to never have to leave the grounds during the weekend. A limited number of tickets and hotel packages are available through the festival’s website. Phoenix, Arizona-based BTWconcerts.com is one of the preeminent concert producers in the Southwest. Among the star-studded jazz and R&B concerts and multiday music and lifestyle festivals that the company promotes at first-class resorts for adult audiences are the Arizona Jazz Festival (http://ArizonaJazzFestival.com), San Diego Jazz Festival (http://www.SanDiegoJazzFest.com) and the Las Vegas Jazz Festival (http://www.LVJazzFestival.com). BTWconcerts.com’s sister company for events at sea, BTWatsea.com will launch the maiden voyage of the Maxwell + The 7 Seas Cruise (http://www.maxwellatsea.com/) May 3-10, 2015 hosted by the Grammy-winning balladeer. 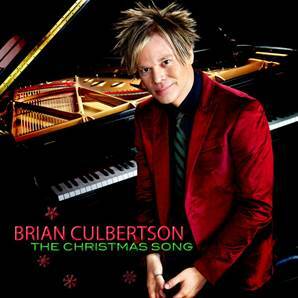 With the holiday season on his mind, contemporary jazz-R&B star Brian Culbertson recently took a break from recording his forthcoming “Another Long Night Out” album, sat down at the Mason & Hamlin grand piano in his studio and played a stark, emotionally stirring rendition of “The Christmas Song.” Enjoying his newfound freedoms as an independent recording artist, Culbertson recorded the seasonal classic and put it on iTunes (http://bit.ly/BCChristmasSong), Amazon (http://bit.ly/bcChristmasSong) and other major digital outlets. Culbertson’s first full-length indie release and 14th album overall, “Another Long Night Out” is slated for release in late February. The project is a reimaging of his debut album, “Long Night Out,” which will mark its 20th anniversary in February. Culbertson, a multi-instrumentalist who wrote the eleven songs and played most of the instruments on the original album that he recorded in his crowded Chicago apartment while he was a 20-year-old student at DePaul University, is producing the set featuring performances by Lee Ritenour, Russ Freeman, Jonathan Butler, Rick Braun, Candy Dulfer, Eric Marienthal, Chuck Loeb, Steve Lukather and Paul Jackson Jr. along with a stellar collective of contemporary jazz musicians and a 33-piece orchestra playing arrangements by David Benoit. Additional information about Culbertson, who will bring in the New Year on stage with his band at a New Year’s Eve Gala at the Hyatt Regency in Huntingdon Beach, Calif., is available at www.BrianCulbertson.me.